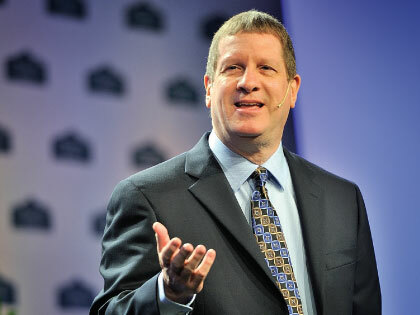 Home Interviews Lee Strobel: What’s Trending in Apologetics Today? I really believe we’re on the cusp of a golden era in Christian apologetics. We’re living in very exciting times. The water has been stirred by atheists, anti-theists and agnostics, and there’s an atmosphere of skepticism because of it. To me, that just spells opportunity; it means people are thinking about these issues, and they’re willing to listen and engage and discuss these topics. Apologetics has always been the handmaiden of evangelism. It’s a tool that’s used in the evangelistic process. It’s always about helping people get past those spiritual sticking points that are holding them up in their spiritual journeys. Today, for the average Christian, the watchword in apologetics isn’t debate—it’s dialogue. And very few Christians are equipped to do formal debate. I’m not. That’s not my specialty. But most of us can engage in a dialogue, a conversation, a friendship, a relationship where we can sit with spiritually curious neighbors and friends and have extended discussions about what we believe and why we believe it. It’s more of a relational apologetic. It’s not the old “line up somebody against the wall and machine gun them with 15 reasons for the resurrection.” It’s more like two friends having a conversation. I also think apologetics is coming back under the umbrella of the local church. Years ago, the church lost interest or abandoned apologetics, and that resulted in a lot of parachurch organizations filling the void. But now, we’re seeing churches engage more and more with apologetics. We’re also seeing a new expression of creativity in apologetics with innovative websites, documentaries, feature films, Twitter, YouTube, and even fiction. And finally, I think one of the most exciting developments in recent years has been that of small groups for nonbelievers. We call them spiritual discovery groups. There’s an organization called Q Place in Chicago that’s doing great work with this concept, and we did groups like this in Chicago at Willow Creek years ago. We’ve tracked them over time and found that if a nonbeliever joins the group and stays in it, 80 percent of them come to faith. So these kinds of groups are producing tremendous results. The average Christian in the pew is not reading books by Richard Dawkins and Christopher Hitchens, but their neighbors and coworkers are. I think congregations are putting pressure on churches to equip them better, educate them more and give them opportunities to grow in this area. Churches that have relied in the past on a lifestyle evangelistic approach that lacks intentionality need to be a little more intentional in reaching people and bringing answers to their questions. I’m all for lifestyle evangelism, but I’m also in favor of intentionality, where we seek out opportunities for spiritual conversations and are equipped to explain the gospel and why we believe it. So many people who are not Christians are only one question away from faith. They’ve got a question that’s a hang-up. It’s an issue that’s bothered them, an objection. And once we can help them find an answer to that, they make huge progress in their spiritual journey.